This is how to keep yourself protected from negative spirits and negative thoughts and to keep you protected during spiritual work of all kinds, psychic readings and spiritual healing and circle work. It has long been known that chakras are like revolving disks of varying Colour and are hidden within the fabric of the metaphysical within the auric field that surrounds our human body. Chakra’s are unseen to the naked eyes but are visible to the clairvoyant. 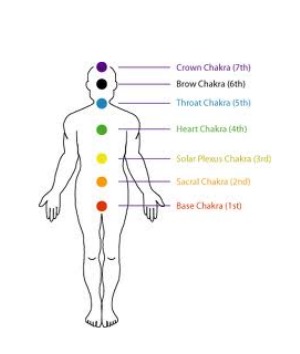 There are seven main Chakra the base spleen solar plexus heart centre throats centre third eye and also the crown each chakra has its own colour going from red orange yellow green light blue Indigo and lilac and associate with chakra points in the body. The base is red the very tip of your spine. The Spleen is Orange just below the navel. The throat is light blue in the throat area. The third eye is indigo in the brow area. The crown is violet the top of the head. There are other minor Chakra as well like the palm of the hand and soles of the feet. Many people come to me and problems of possession feelings of lost energy that could be remedied by this simple method to keep you safe. Simply by the closing and opening of your spiritual connection, when not working spiritually. You will close down and open up to the universe when working with it. your shoes off and maybe your socks an start to concentrate and clear your mind become as peaceful as you can. Concentrate on the soles of your feet and move your energy up from the source of the power within the earth. Let the energy flow through your feet past your ankles and shins and knees up to the thigh to the base of your spine, at this point imagine the colour red deep spiritual rose red. Colour yellow beautiful daffodil spiritual yellow. After pausing for a moment allow the power to flow up to your heart centre visualise the colour green beautiful darker than an emerald green and after a moment allow the power to flow to your throat area and see beautiful spiritual light blue and then to your brow the third eye and see indigo same colour as you jeans and now the Crown the top of your head violet colour, allow now the power to manifest as white light forming a cocoon of white light around your body you can expand that light even to fill a room to encompass all in that room the people to protected by your light. Now you’re protected from any negative whenever you do any spiritual work healing or social work but you must repeat this before you start and in reverse afterwards. Heart solar plexus and spleen back into the base an down to your feet and back to the earth so you are now shielded protected grounded and safe again.